This article is one in a series of stories about Lauren’s conversion. To read the others, click here. 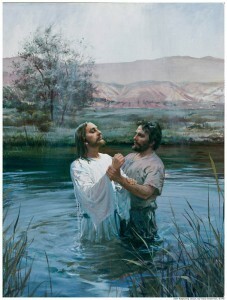 Even though I felt like The Church of Jesus Christ of Latter-day Saints was true, I was still nervous to get baptized. After the last testimony meeting, I realized I believed in the Church. I knew I wanted to become a member, but I was scared to commit myself to a baptism date because it made everything feel so final. It meant I would have to tell my family and friends, and to me, it meant I wouldn’t be able to change my mind. What would getting baptized mean? How would it change the way others viewed me? As Gabi read me these scriptures, I realized my answer to each of these questions was an overpowering YES. 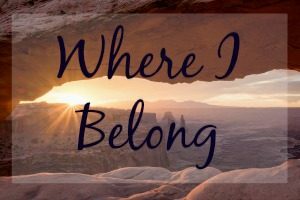 Did I want to serve God and His kingdom? Absolutely. Did I want to bear the burdens of others and comfort those in need of comfort? Of course. Did I want to stand as a witness of the Lord in all things? Always. Did I want an increase of His Spirit? I don’t think I could say yes faster! 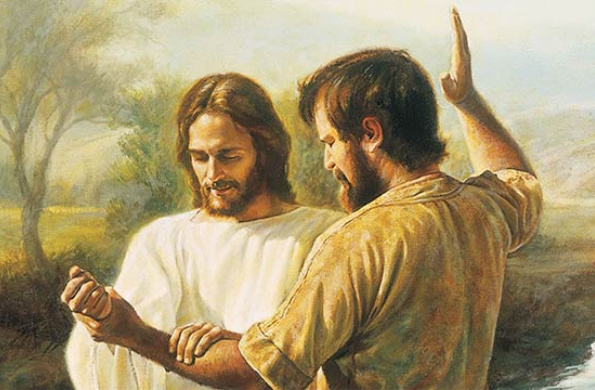 The answers to all of these questions were inherent: I knew Christ existed, I believed in the Lord’s kingdom, and I wanted to serve my Heavenly Father and His people. As I answered each of these questions I had to ask myself, What do I have against being baptized in the name of the Lord? I was making the answer to this question more complicated than it needed to be. I had a testimony in Christ, my Heavenly Father, and The Church of Jesus Christ of Latter-day Saints. All I needed were the pure intents of my heart, and everything else would fall into place. 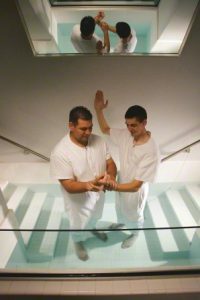 The answer to the question “Should I get baptized?” suddenly became simple after reading the beautiful scriptures found in Mosiah. What are the intents of our hearts? Are they to serve Christ and His kingdom? If so, there should be nothing stopping us from committing to Him through baptism. I encourage anyone who is wondering whether they should join The Church of Jesus Christ of Latter-day Saints to read Mosiah 18. If you find yourself answering yes to the questions Mosiah asks, the path to becoming a member is clear. The scriptures found in that chapter outline the most basic, purest beliefs of this church. These beliefs pump into all the other facets of the Latter-day Saint Church that may seem complicated, difficult to understand, and/or different from other branches of Christianity. These beliefs are at the heart of the priesthood, Relief Society, and bishoprics. It’s beating in the wards, stakes, and the apostles and prophets. It’s interlaced with the activities our churches hold, in the conferences held, and the talks given during sacrament meetings. At the end of the day, The Church of Jesus Christ of Latter-day Saints wants to serve Christ, Heavenly Father, and the people of this world. Having a testimony in these beliefs is enough to become a member of Christ’s church. As we commit ourselves to Him, we gain an abundance of His Spirit poured through us. I can personally testify that through baptism, I have been able to receive an increase of the Spirit guiding me every day. This Spirit has blessed me by helping me make righteous decisions and in bearing the knowledge that I am never alone or unloved. I remember sitting in that car listening to my best friend read Mosiah 18 and knowing with a sudden surety that baptism was the right decision. I looked over at her and smiled against the red canyon skyline flying past.